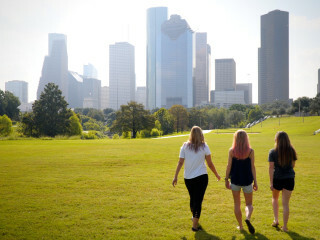 Anastasia Hansen and Natalie Harms from the blog It's Not Hou, It's Me introduce Buffalo Bayou Partnership, a nonprofit that maintains and improves a 10-square-mile stretch of green space that runs through the city. 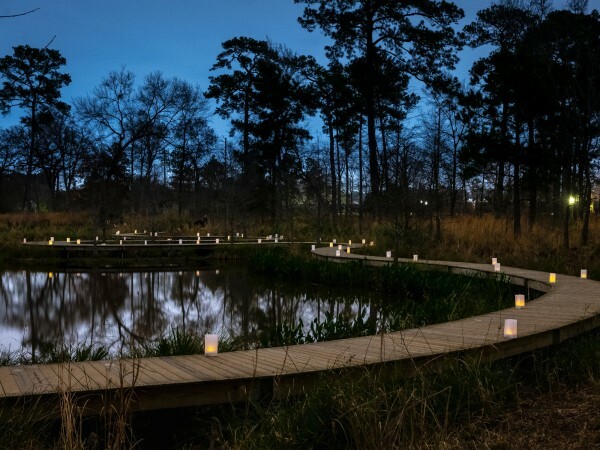 The organization is responsible for hike and bike trails, Buffalo Bayou Park, art installations, and pedestrian, boating, and biking amenities, among other elements. At the one-year anniversary of Hurricane Harvey, the bloggers surprised BBP communications and events coordinator Jessica McFall with the news that they would be using their #frostitforward gift card to plant a new tree. As more than 400 trees were lost in the aftermath of the hurricane, planting a tree is a tangible, positive step forward. Show how you're spreading optimism by tagging CultureMap Houston on Instagram and using the hashtag #frostitforward, and you could win some cool swag.